have maintained its leadership position in the field for good reason. They saw what these mean streets needs and simply provided it from California to New York. The public jury has decided in favor of this brand and so has the police, EMS, Military and American Equipage. 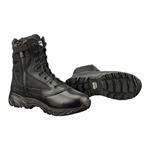 Athletic Fit, Lightweight, Leather, Fabric Boot designed for Law Enforcement Professionals. 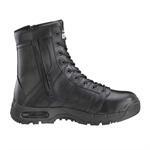 The Chase 9” Side-Zip Black boots meet the legendary performance standards of Original S.W.A.T. No matter how challenging a task, these boots will never let you down. The Chase 9” Side-Zip Tan boots meet the legendary performance standards of Original S.W.A.T. No matter how challenging a task, these boots will never let you down. Brave the rough weather with a pair of Chase 9” Waterproof boots. 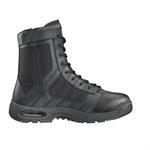 The mid-calf length boots feature non slip outsole and lace-up front. With their padded details and non-slip outsole, these shoes provide just the right mix of comfort and performance and are suitable for everyday use.